It was still dark outside as the lights flashed on inside the bus to illuminate this stranger who had just joined us. “Don’t worry, you can go back to sleep,” he said. In groggy confusion, I was vaguely aware that our plans had changed. 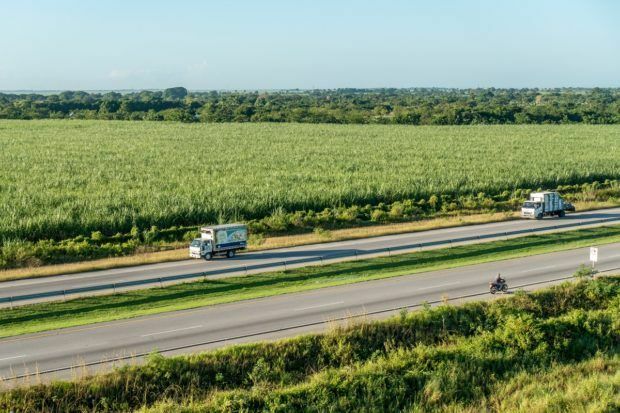 The wake-up call had come at 5:00 that morning at our hotel in Punta Cana, which really isn’t so early for a hot air balloon ride, but the whir of the bus engine and the quiet of the Dominican Republic countryside had lulled us back to sleep. But now I was awake. As we continued on, I wondered what this adventure would bring. 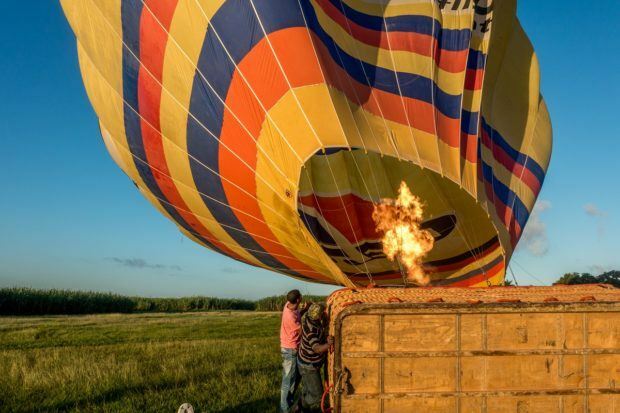 I’d been lucky to experience hot air balloons a handful of times before, so I was ready for the lightness at takeoff and the surge of the fire that would come as we rose. Any anxiety I’d ever had was replaced by eager anticipation long ago. But as much as the mechanics of balloon rides are similar, each is unique. From the mass of baskets filling the sky as we sailed over Turkey’s fairy chimneys to the do-it-yourself approach we experienced in the suburbs of Lithuania, every ride has a story. 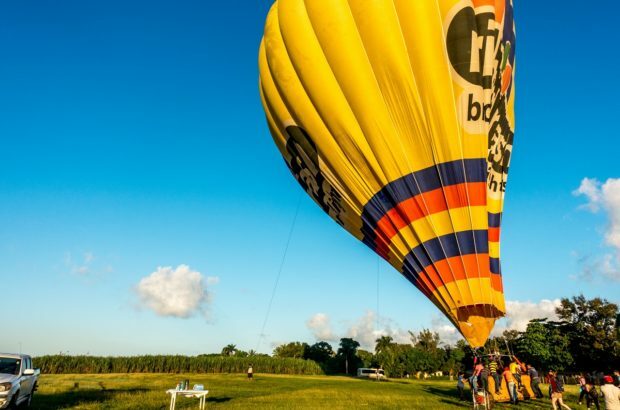 As the black night sky turned to the deep blue of early morning, the story of our ride in the only hot air balloon in the Caribbean was just beginning to unfold. 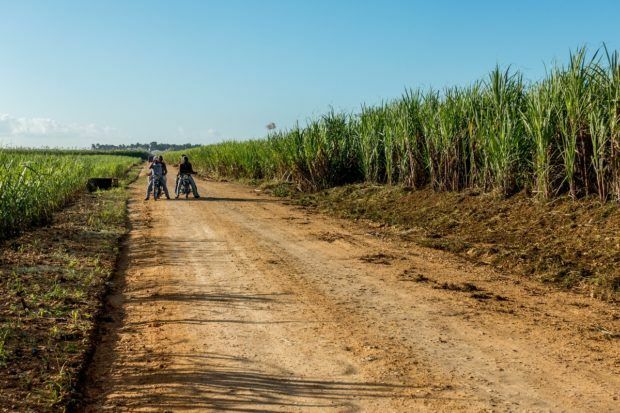 After another half-hour of driving, the paved roads we’d been on turned to the rutted, packed dirt paths cutting through the sugar cane fields. We passed through the workers’ community, watching families in the midst of their morning routines until the road ended in an open field. In the middle was a giant basket and a team already hard at work prepping for our ride. Quickly, our group tumbled from the van ready to photograph the sun just beginning its ascent above the horizon. The bright colors of the balloon spilled over the field. We were a lot of excitement and a bit of a spectacle as we rolled into this working community. Within moments, the field was ringed by adults and children all wondering at our unusual presence and the gradually growing balloon. It didn’t take long before the balloon’s massive basket began to tip upright. 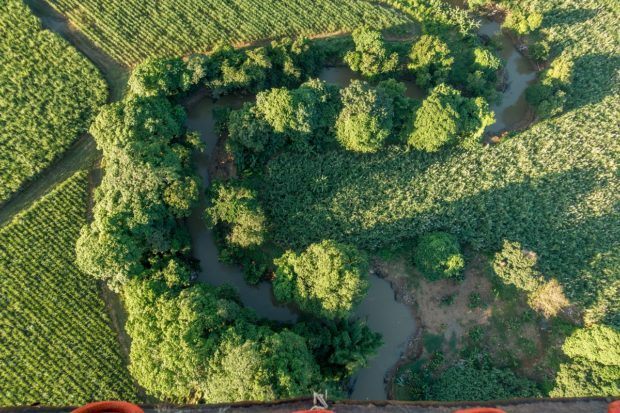 We jumped in and within a few seconds were grazing the tops of the sugar cane as we began to climb and the spectators on the ground waved goodbye. For over an hour, we floated over the eastern part of the Dominican Republic. We gazed at the white buildings of Higuey and hovered over the ponds. We watched the mountains in the distance and saw our shadow move over the ground below. We passed trees that looked like broccoli from our vantage point in the sky, sometimes hanging low over fields that seemed almost within reach. 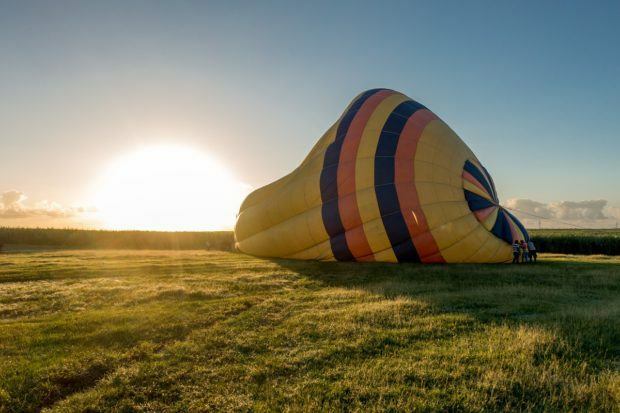 While we floated, our pilot Luis told us about his passion for flying and his training with the famous balloon pilots in Albuquerque, New Mexico. 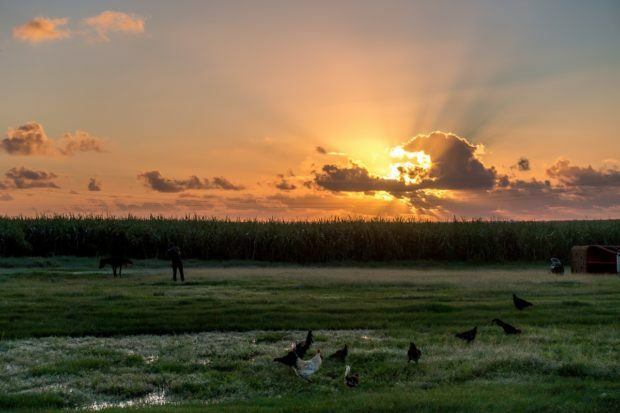 The struggle to start his business in the Dominican Republic was a long one, but he persevered because he wanted to share his love of flying and his love of his country with visitors to the Caribbean. 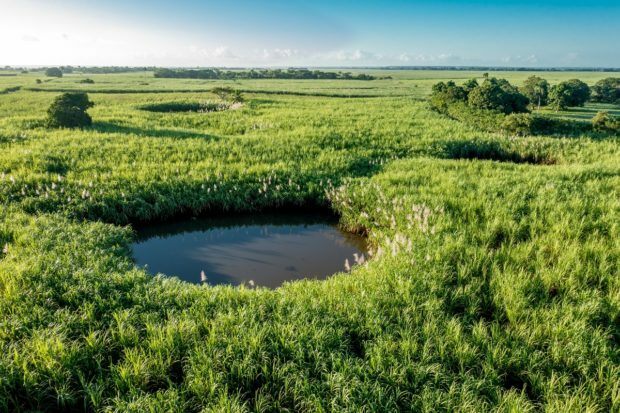 With all the natural beauty in this part of the world, Luis is the only one who can show guests an aerial view like this. 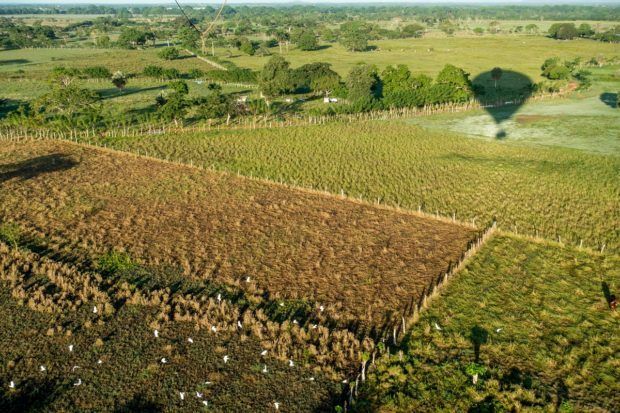 During our hot air balloon ride, we seemed to attract the attention of almost every living thing on the ground. Chickens and cattle scattered as we passed overhead. Dogs let us know what they thought about our being there. We watched as nature responded to our colorful, massive presence above the landscape. And then there were the people. Farmers and field workers stopped and waved while children yelled out their schoolhouse window as we passed. Trucks and vans slowed to a near crawl on the highways as drivers leaned out their windows to get a better look. Some even stopped on the shoulder, iPhones in-hand to take photos as we floated by. Everyone was so intrigued by the unusual sight of our balloon, it’s like we stopped their lives for just a moment. 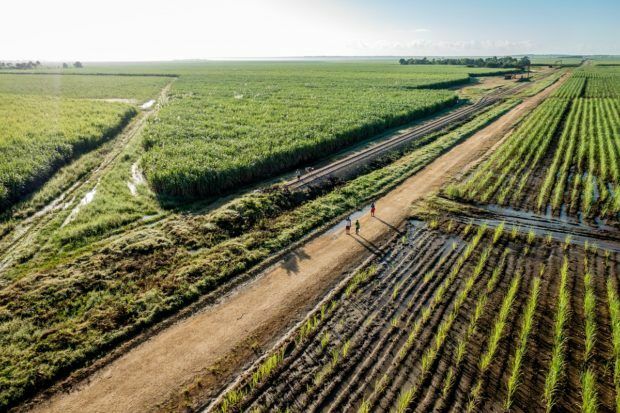 When our 90 minutes was up, we landed in a place similar to where we’d started – a sugar cane field. The crew collected us and returned us to the Dominican Balloons headquarters for a breakfast of fruit, amazing Dominican avocados, and homemade cheese. 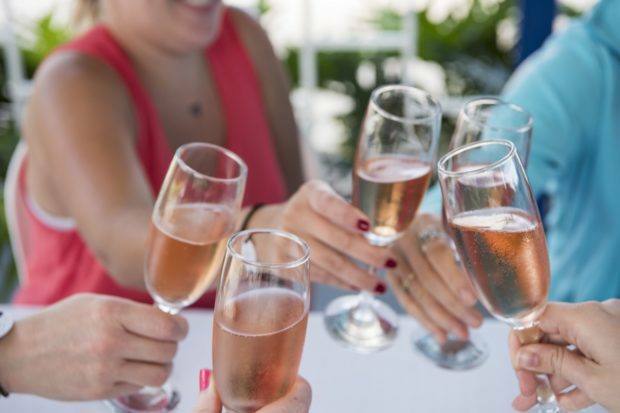 With a champagne toast to a successful flight, the end of our hot air balloon story was written. Sunrise hot air balloon rides near Punta Cana are available from Dominican Balloons for $275 per person for a group. Prices for other rides vary. From arrival through breakfast, the time commitment of approximately 4 hours is worth every minute. We were the guests of the Dominican Republic Ministry of Tourism. All opinions of the fantastic and peaceful are our own. The champagne toast photo is courtesy of Nick Argires on behalf of GoDominicanRepublic.com. 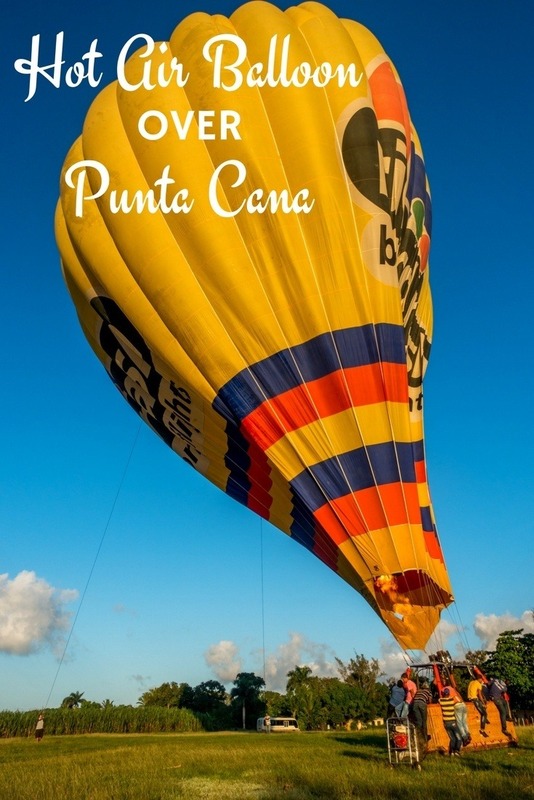 What do you think about Stopping Traffic in a Hot Air Balloon Over Punta Cana?